What did the pilots see off the coast of Ireland? 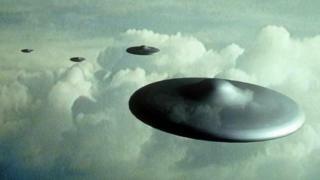 The Irish Aviation Authority is investigating reports of bright lights and UFOs off the south-west coast of Ireland. She wanted to know if there were military exercises in the area because there was something “moving so fast”. The pilot, flying from the Canadian city of Montreal to Heathrow, said there was a “very bright light” and the object had come up along the left side of the aircraft before it “rapidly veered to the north”. Another pilot from a Virgin plane joined in and suggested it might be a meteor or another object re-entering the earth’s atmosphere. He said there were “multiple objects following the same sort of trajectory” and that they were very bright. The pilot said he saw “two bright lights” over to the right which climbed away at speed. One pilot said the speed was “astronomical, it was like Mach 2” – which is twice the speed of sound. “Following reports from a small number of aircraft on Friday 9 November of unusual air activity the IAA has filed a report,” the Irish Aviation Authority (IAA) said. A spokesperson for Shannon Airport said it would not be appropriate for the airport to comment while the IAA investigation is ongoing.